After or during weight loss, excessive skin can be a big worry. You have done all the hard work, sacrificing your favourite foods, giving blood sweat and tears day-in-day-out in the gym. If all that wasn’t enough, you still have the obstacle of loose skin to get rid of , before you achieve your goal of that dream body. Here are 5 top tips to prevent and get rid of excess skin. #1 Slow and steady wins the race! You want to lose the weight slowly and steadily, think 1-2lb per week. Skin is actually a living organ. Just like your other organs it is made of of cells and has elasticity. The older you are the more that elasticity decreases. Drastic weight loss will not give your skin time to adapt to your new frame. Losing the weight steadily will allow your skin the time it needs and will naturally decrease along with your weight. #2 Drink water like you never have. You need to average 2 litres per day and more if you are exercising. H20 is actually pivital to maintaining skin elasticity. Nourishing your skin daily with natural creams will help it to tighten and stay supple. Slather on aloe vera, cacao and Vitamin A, C or E based creams to improve skins look and feel. #4 No needles collagen boost. Collagen keeps the skin plump and prevents the aging of skin. Make sure you have a collagen rich diet. You can get this from many sources of food including Soy products, dark green vegetables, Beans, seeds. Nuts and fresh fish. There are incidences of loose skin, but in many cases it’s actually excess subcutaneous (under the skin) fat. 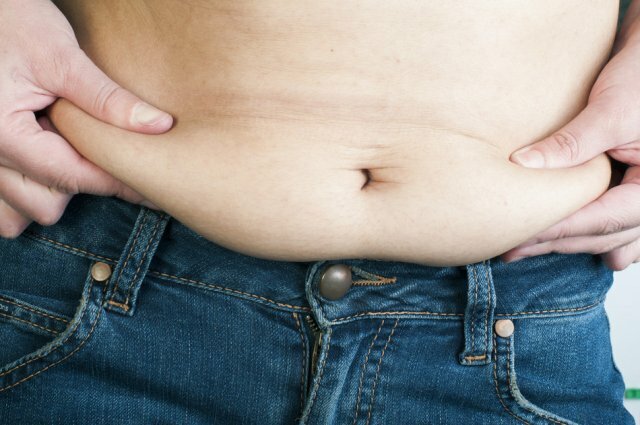 These are area’s that are storing stubborn fat cells. As you get slimmer these can be harder to shift. An easy way to test yours is to pinch the area you think has excessive skin. If it is more than a few mm thick then it’s subcutaneous fat. Until that fat has gone the fat will continue to sag. In this case percentage body fat testers are very useful. Guys you shouldn’t think it’s excessive skin until you reach 9-10% body fat, for women around 17-18%. In my opinion, moisturizing is the best way to remove excessive skin. Thank you for your useful article! Previous story Which Juice for Which Mood?